What if the federal government started a new town with 48,431 private equity owned homes. Uncle Sam would back the rent on 46,010 homes if times got tough. The private equity firm would be at risk for the rent on 2,421 homes. That's the case with Blackstone's Invitation Homes, only the homes are spread across the country. 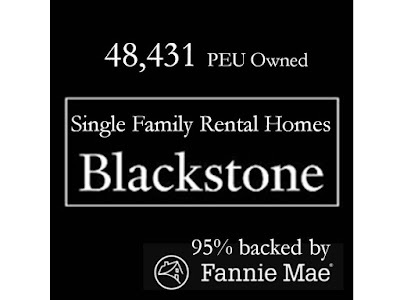 Invitation Homes, the 2012 buy-to-rent creature of private-equity firm Blackstone, and now owner of 48,431 single-family homes, thus the largest landlord of single-family homes in the US, accomplished another feat: it obtained government guarantees for $1 billion in rental-home mortgage backed securities. The government agency that has agreed to guarantee the “timely payment of principal and interest” of these “Guaranteed Certificates,” as they’re called, is Fannie Mae, one of the government-sponsored entities (GSE) that has been bailed out and taken over by the government during the Financial Crisis. This is the first time ever that a government-sponsored enterprise has guaranteed single-family rental-home mortgage-backed securities, issued by a huge corporate landlord. This is one Obama administration act that President Donald Trump won't undo or fire. Blacktown, a distributed modern Pottersville, lives thanks to our federal government's actions via Fannie Mae. It's not the first time Fannie Mae looked after the monied vs. the people they are charged with helping, potential low income home buyers. 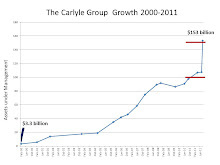 Fannie Mae committed accounting fraud from 1998-2004.
by shaping "the company's books, not in response to accepted accounting rules but in a way that made it appear that the company had reached earnings targets, thus triggering the maximum possible payout for executives." Fannie Mae settled without admitting or denying guilt. Fannie Mae's board at the time the fraud started included Ken Duberstein, Stephen Friedman, Jamie Gorelick and James A. Johnson. Politicians Red and Blue love PEU. Americans have the current Fannie Mae board to thank for fostering PEU home buying so they can rent worry free to struggling citizens. 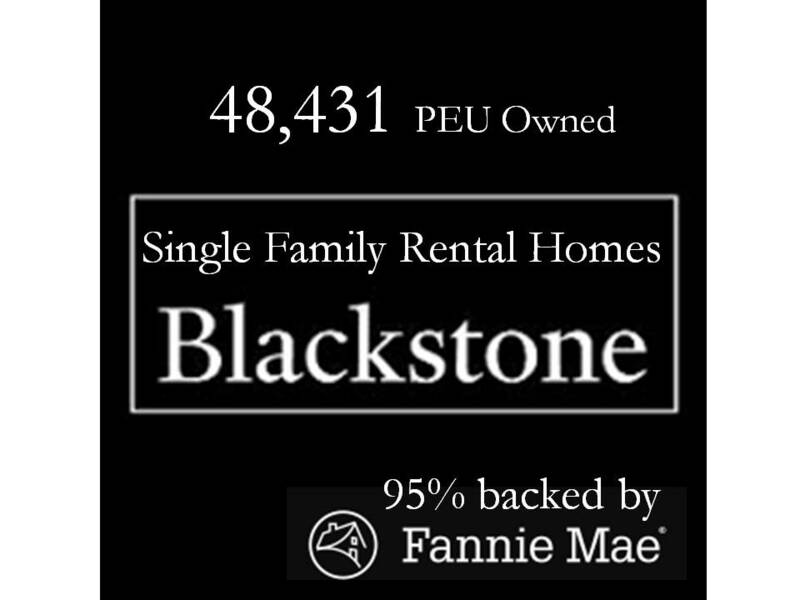 Board member Hugh Frater knows why Blackstone needs Fannie Mae's backing. Bloomberg shows Frater receiving $162,339 in Fannie Mae board compensation. Anthracite invests in high-yield (read: junk) bonds and loans that finance commercial real estate. The company on Wednesday announced a mammoth fourth-quarter loss, financial problems ranging from busted loan covenants to unpaid margin calls, and a warning by its auditors that it might not be long for the world. Frater later went on to mortgage servicing giant Berkadia. A story on Frater's leadership noted Berkadia's significant status with Fannie Mae. One Fannie Mae board member had seen a company he founded implode from evaporating rents and declining commercial real estate asset valuations. Fannie Mae will prevent the same thing happening in the residential home rental market. Hugh Frater also sits on Spearhead Capital's board. Their website describes Spearhead as "a boutique financial services firm exclusively focused on providing customized solutions for ultra high net worth investors, family offices, and asset management firms." What if they could steer their clients to tax free, risk free returns? It appears another public service organization has been co-opted for the landed gentry.